Your glasses start processing right when we get your order. The time it takes will depend on the complexity of your order. Typically you will receive your glasses within 14-21 days. Some orders that require extra or custom lab work like progressives, bi-focals, custom sun-darkening lenses, or extra strength prescriptions can take an additional three to six days. Orders shipped in the USA are shipped via Unites States Postal Service First Class. Shipping is $7.99 total per order, no matter how many pair of eyeglasses you order. Order one pair of glasses or order 50, it’s still only $7.99. To check the status of your order, please email support@greateyeglasses.com with your order number in the subject line. At GreatEyeglasses.com your satisfaction is our highest priority. 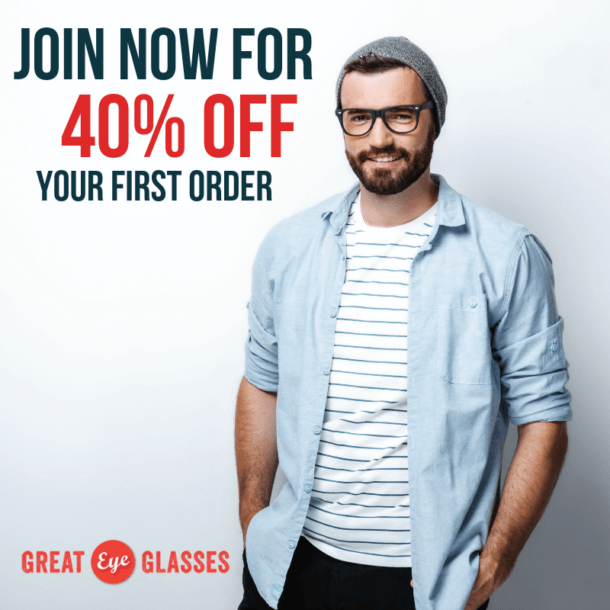 If there is an issue with your order, please contact our customer service by e-mail at support@greateyeglasses.com, or by phone at 888-870-9193, within 10 days of receiving your order. If you have entered the information incorrectly or simply do not like the style, color or fit etc., we will take the glasses back and return 50% of the cost of the glasses to your credit card. If you had an incorrect prescription from your doctor, we will still take the glasses back and give you the 50% refund. If our lab has made any type of error we will replace them immediately, at no cost to you. PLEASE NOTE: If you get a pair of glasses and you cannot see, then there are only those three variables that caused it: you, your doctor, or our lab. In order to fix it, it is extremely important that we determine where the error is so that the glasses can be remade correctly. Please do not send them back without contacting customer service first at support@greateyeglasses.com or by phone at 888-870-9193. All of our frames are under warranty for one year (12 months) and lenses are under warranty for 30 days. Please contact us if there is an issue within this time period. We will replace them at no cost to you. If something happens to your frames after that time, please contact our customer service to see if there is a way we can help. Customer support contact information: by email at support@greateyeglasses.com or by phone at 888-870-9193.